Lots of people have posted interesting and valuable reactions to yesterday’s news about Kodansha and Del Rey, particularly Christopher (Comics212) Butcher and Kate (The Manga Critic) Dacey, and I only have a couple of things to add. First, I’d like to thank Del Rey for publishing some really interesting manga and doing a very nice job of it. I always appreciated the level of care they took with translation, adaptation and annotation of their translation choices. All of those elements really added value to the reading experience, and I hope that Kodansha continues to uphold those production values. 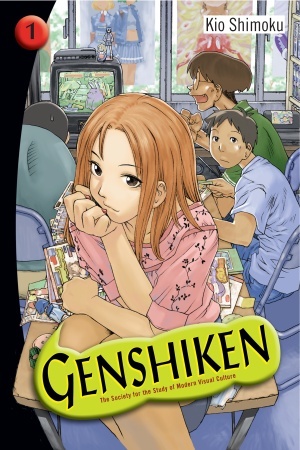 Some of my favorite manga came from the Del Rey imprint: Minoru Toyoda’s Love Roma, Fuyumi Soryo’s ES: Eternal Sabbath, Yuki Urushibara’s Mushishi, Kio Shimoku’s Genshiken, Natsumi Ando and Miyuki Kobayashi’s Kitchen Princess, and Satomi Ikezawa’s Othello, among many others. I hope that this excellent back catalog stays in print, regardless of how things ultimately shake out between Kodansha and Random House. We have enough excellent, orphaned series already. Some of my current favorite series and titles I’ve hoped to catch up on were also on Del Rey’s slate: Clamp’s xxxHOLic, Tomoko Ninomiya’s Nodame Cantabile, Koji Kumeta’s Sayonara, Zetsubou-Sensei, and Ishikawa Masayuki’s Moyasimon. I hope that Kodansha doesn’t dawdle in the continued publication of these interesting and satisfying works. But I would be lying if I said I was optimistic. It’s been over two years since word first leaked that Kodansha was taking its English-language distribution into its own hands, and the results have been rather pathetic. 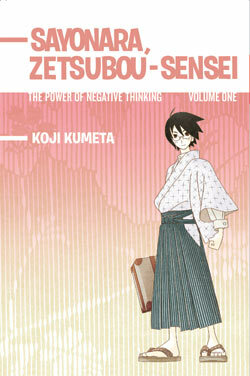 The net result has been that significantly less of Kodansha’s catalog is available in print than before. I understand that the economy isn’t friendly to new initiatives, but results thus far have been miserable, especially for a publisher of Kodansha’s size and stature. I hope that this development indicates that Kodansha is going to finally get in gear in terms of shoring up its existing catalog and increasing the number of titles licensed for English publication and that we aren’t asking the same rueful questions in 2012. This entry was posted on Tuesday, October 5th, 2010 at 9:08 am and is filed under Del Rey, Kodansha Comics, Linkblogging. You can follow any responses to this entry through the RSS 2.0 feed. Both comments and pings are currently closed. I’m holding my breath that Nodame will be finished. It is one of several, but I have 16 volumes of Nodame. That’s an investment that I would not like to take a hit on. 😦 Plus, I love it so much. i really hope they pick up on ther series. 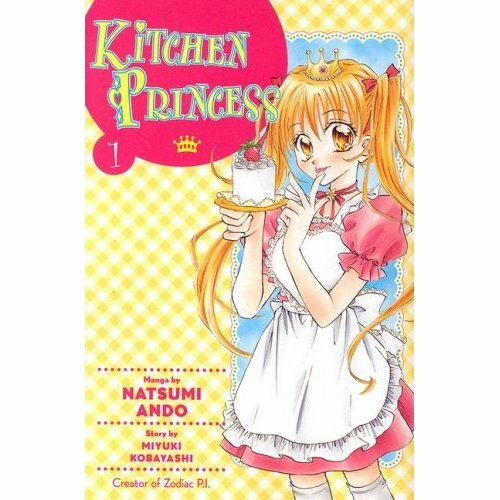 The first manga i ever read, the one that got me onto manga/anime Yasunori Mitsunaga’s Pincess Resurection. I spent two years reading the manga waiting for the new one s to come out and then after book 7 came out they just stoped relasing them! its so annoying! i only today found out about this hole thing…2 years is a long time to wait for a book.